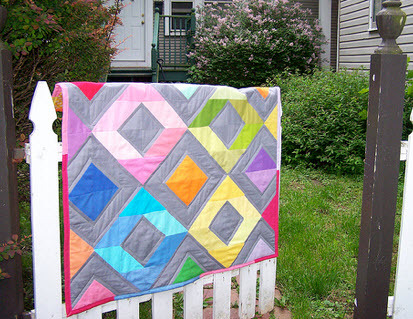 For this quilt, you can go bright with rainbow solids like I did, or focus on prints. Choose masculine colors, girly colors or whatever you like. Once you learn the basic technique of sewing half-square triangles, the options are endless!